Those who propagate such lies have no understanding or even have knowledge of the Arabic language. For example, one word could be used for humans and it could mean one thing, and at the same time, the same word is used for God and it has a different meaning. Reading all the above instances where ‘salla’ has been used for others besides Prophet Muhammed (p), it is nonsensical for missionaries to claim that God worships Muhammed. Now, let’s turn to Muslim and non-Muslim scholars commenting on the word i.e., what does Salla Allahu Alayhi wa-sallam mean when used for Muhammed? 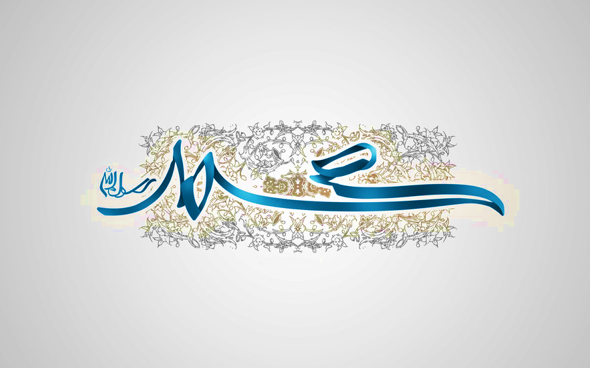 “The four letters p-b-u-h combine to form an acronym for the phrase ‘peace be upon him’, which is the English rendering of the Arabic ‘alayhi as-salam’. Invoking peace on another is the signature greeting used by Muslims. According to the Quran, Angels use it when greeting the blessed in paradise (for example 16:32) and people use it in greeting God’s servants. The ‘peace be upon him’ is also invoked by the Quran for the prophets including Abraham, Moses, Aaron and Elias”. You see how trivial an argument this would be if one insisted this was true. This is exactly what missionaries do when they deceptively twist Quran 33:56. Of course, I do not believe Abraham to be God, nor does God demand people to worship Abraham. I believe context is important when we use other people’s scripture. In conclusion, the claim by Christian missionaries that ‘Allah worships Prophet Mohammed’ (p) is an outright lie, as shown. One word can be applied to God and the same word can be used for a human being, yet they can have two different meanings depending on context. The evidences shown is quite clear that Allah sends ‘blessings’ on Prophet Mohammed (p). This appears to be a complete straw man. I arrived here after listening to Christians debate with a Muslim. The Christian argument was NOT that “Allah worships Mohammed,” as this article claims. That is not the claim of Christian apologists at all. Neither was the discussion entered into because the Christians “appear to have little productive things to do but undermine Islam by spreading falsehood,” as the article claims. The topic was brought up because the Muslim was questioning the Christian doctrine of the Trinity, and was asking how Jesus could possibly pray to the Father if Jesus was God (apparently, Muslims have serious difficulty understanding what Christians believe regarding the Trinity. This is understandable, because the Koran itself is wrong about what Christians believe, and claims the Trinity is the Father, Son, and Mary). The Christians explained that Jesus and the Father are SEPARATE PERSONS of the One True, Triune God, and that it would make perfect sense that Jesus prays to (communicates with) the Father. The Christians explained that this is perfectly understandable – but what is NOT understandable is Allah is portrayed as praying in Koran 33:56, since the Muslim concept of God is UNITARIAN. The Christian argument does not at all appear to be that Allah is “praying to Mohammed.” It’s a simple question: WHO is Allah praying to? It’s great to have an interfaith dialog. I firmly believe that we NEED to have such a dialog, and further understanding between the Christian and Muslim faiths. But we shouldn’t be doing that by mischaracterizing the opponent’s arguments. Thank you for your comment. The people in the lecture may not have said this, but there are Christian out there who believe and say that Allah prays to Mohammad, which is false. I think you need to shut up your mouth! Muslims have been engaging with Christians from the beginning of Islam, You may read Qur’an refuting some your beliefs and how makes it clear for you that you are, indeed polytheists. Moreover, Christians have been living among us ,and there were many dialogues between them and muslims, and you can find that in writings of ibn Hazm, and Al Ghazali. ,,etc, yet we keep hearing from you just accusations such as ” Strawman”, ” Misrepresenting”. ! On the other hand, most christians have never heard even word ( Islam ) till 9/11, yet they try to teach us how to understand Qur’an.Jesus was asking! here’s the difference. Prayer in Quran means Blessing and Compliments not asking ! God blesses his prophets. You are the strawman by this comment !